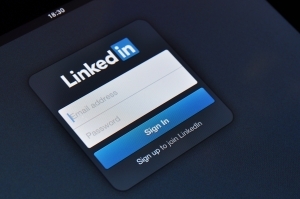 LinkedIn Training is critical for sales management, corporate sales teams and business owners. In today’s business world, LinkedIn is a must-have for everyone responsible for generating sales. Most business people don’t realize the power of this tool and how it can change the way you sell. With us, you can learn how to use LinkedIn to broaden your network, develop leads, and convert them to clients. Our LinkedIn Training will show you innovative ways to find, connect with, and sell to new clients -in less time -by leveraging the power of LinkedIn. You will learn how to source for leads, conduct research and marketing, use powerful productivity tools, and connect with the exact prospects you want using the most popular business-based social network in the world. Research says that LinkedIn has the largest average household income per user of any social networking site; with an average household income of $109,000 per user. As someone who is responsible for sales you should note that 45% of LinkedIn users are business decision makers. Our LinkedIn Training program is designed to help you leverage the high number of decision makers on LinkedIn. Our LinkedIn Training for Corporate Sales Teams is designed for organization with 5 or more sales people who sell products and or services to business to business (B2B) clients. This complete program can be implemented in-person or to multiple offices via webinar technology. See more information on our LinkedIn Training for Corporate Sales Teams. Our LinkedIn Training for Professional Service Providers is designed for organizations that sell professional services to business to business (B2B) clients. This complete program can be implemented in-person or to multiple offices via webinar technology. See more information on our LinkedIn Training for Professional Service Providers. Our LinkedIn Private Sales Coaching program is designed for individuals who sell goods and services to business to business (B2B) clients. This coaching program is exclusively offered via private Go-To Meeting sessions. Each session is recorded and available for review. See more information on our LinkedIn Private Sales Coaching. LinkedIn Training is an investment in your business growth.